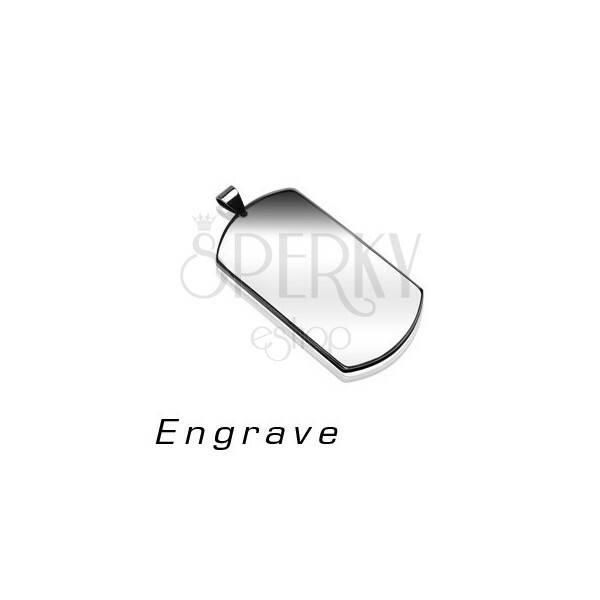 Pendant made of 316L steel in silver hue, oblong tag DOG TAG with two rounded sides. 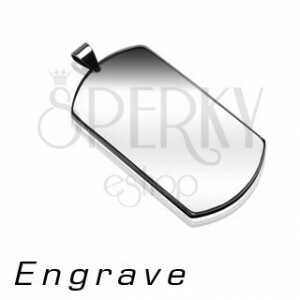 The steel pendant is in shape of an oblong tag with smooth and shiny surface. The tag is in silver colour and it has two rounded sides. The pendant clasp is elongated.